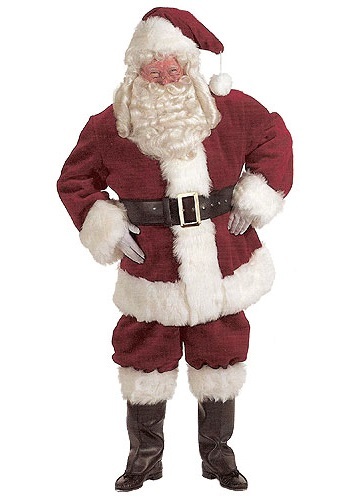 Suit is made of high quality red velvet with luxurious faux long hair white trim. Santa Claus belly is an additional $15 to rent. Santa Claus toy bag is an additional $15 to rent. 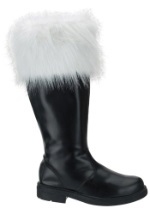 Santa Claus boots are an additional $25 to rent.